If you’re looking for a new app to try, you’re in luck, 33 iPhone and iPad apps just hit our database. 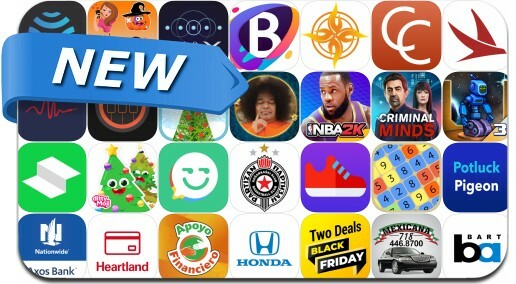 Today’s batch of new apps includes Criminal Minds The Mobile Game, NBA 2K Mobile Basketball, Car Parker!, Thanksgiving Photo Frames and many others. Speed across exciting locations and drift your car into the right parking spot! Time it just right to receive the perfect bonus and chain bonuses together for maximum points! Drive many exciting vehicles with more unlocked the further you get- are you skilled enough to park a fire truck?